The Freq Zone is a high-end studio in Jacksonville, FL with a strong focus on Audio Mastering. We offer services to customers worldwide. Contact us today for more information. This week I thought I’d take some time to cover something I end up talking about quite a bit. It’s not uncommon to see people referring to their “mastering” chain and it’s a few plugins on a mix bus. Let’s clear something up, that’s still mixing. If you decide to work with just plugins on your mix bus, then you have decided not to get your music mastered. The mastering stage of audio production and the processes it contains can’t be distilled down to a couple of plugins on a mix bus. I spend a bit of time covering subjects and issues like this in the book I’m writing, but for this post, I’d like to really quickly hit a couple of highlights. 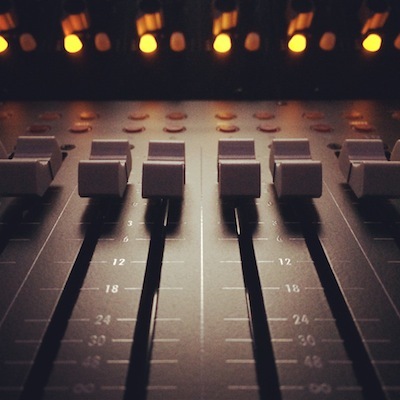 The activities that make up the mastering stage of audio production go beyond just the aesthetic processing that some often associate with the process (louder, brighter, etc.). The engineer is identifying issues that have cropped up or persisted through the recording and mixing process as well as preparing the audio for distribution on various platforms and encoding formats. Error checking, metadata, deliverable creation and many other components make up the mastering phase. It’s no secret that mixing a song takes longer than mastering a song. It’s easy to lose perspective in these situations and become accustomed to hearing elements of a mix a particular way. So if there is a problem, the problem starts to sound normal. Most modern mix engineers don’t mix a song in passes. What I mean by this is they don’t start from the beginning of the song and play in through in passes working on the song as it plays. This was much more of a thing when tape was used in the mixing process. Today many mix engineers will tackle various parts of the song in pieces. Mastering, on the other hand, should be done in passes. This way you are looking at the song as a whole and not in its various pieces and how they fit together. This is a subject I don’t often hear people talking about. Mastering is more surgical and precise than mixing. It’s part creative and part science. Rather than working with a distribution of elements in a frequency spectrum, we are working with a distribution of frequencies that have elements in them. We also have to deal with physical limitations of formats and the expectation of the public as it relates to the various genres we are working on. The analytical side kicks in with correcting of errors as well. Mixing leans much more to the emotional side, simply doing what feels right even if that is doing something extreme. In mastering, it’s a balancing act between frequencies, emotion, and elements trying to come up with a best of both worlds compromise that is better than where the mix left off. It’s not possible to be your own quality check. This is especially true in the moment while you are mixing. Different than the previous point I made about the loss of perspective, this one has to do with someone else performing the master. A different set of ears, in a different room, with a different monitoring system goes a long way to catch issues before releasing music out into the world and ensuring it sounds as good as possible. Remember when music creation process used to be collaborative? Make it that way again. Pass the mastering on to a mastering engineer, someone who makes the process their specialty. The right engineer will provide perspective and make your work that much better. If you decide to master the music yourself, print the mix and master the music in another session. Take a break and come back to the song later, preferably a day or two after you have put some time between the mix and mastering process. Why put it in another session and not keep it in the mix session? Because there is too much temptation to just start mixing again. Maybe that’s what needs to happen, but there is less temptation when just dealing with a stereo mix. You may even surprise yourself. Posted in Audio Mixing, audio quality, quality assurance.